Here's where you'll find Kundiman during AWP 2017, inside and outside the Convention Center! Our booth number is 527. What literary resources are available for Asian American writers? What does it mean to be an Asian writer in the 21st century? This second Asian American caucus is not a panel or a reading, but an open town-hall-style hang out and community space. If you’re an Asian American writer, come meet other Asian American writers and discuss fellowships, publication opportunities, and resources available for Asian American writers. Organized by the Asian American Writers’ Workshop, Asian American Literary Review, Kaya, and Kundiman. Ken Chen is the executive director of the Asian American Writers’ Workshop and a recipient of the Yale Series of Younger Poets Award for his poetry collection Juvenilia, which was selected by Louise Glück. He is one of the founders of CultureStrike, an arts organization dedicated to migrant justice. Dr. Lawrence-Minh Bùi Davis is founding director of the arts nonprofit The Asian American Literary Review and coeditor-in-chief of its critically acclaimed literary journal. He is also a curator with the Smithsonian Asian Pacific American Center and adjunct faculty for the University of Maryland. Sunyoung Lee is the publisher of award-winning literary nonprofit Kaya Press, where she has worked for the past twenty-two years. Cathy Linh Che is the executive director at Kundiman, a nonprofit dedicated to the creation, cultivation, and promotion of Asian American literature. Her first book Split (Alice James Books) won the Norma Farber First Book Award from the Poetry Society of America and the Best Poetry Book Award from the Association of Asian American Studies. Award-winning writers Alexander Chee and Valeria Luiselli will read from their work and join in conversation with National Book Foundation Executive Director Lisa Lucas. 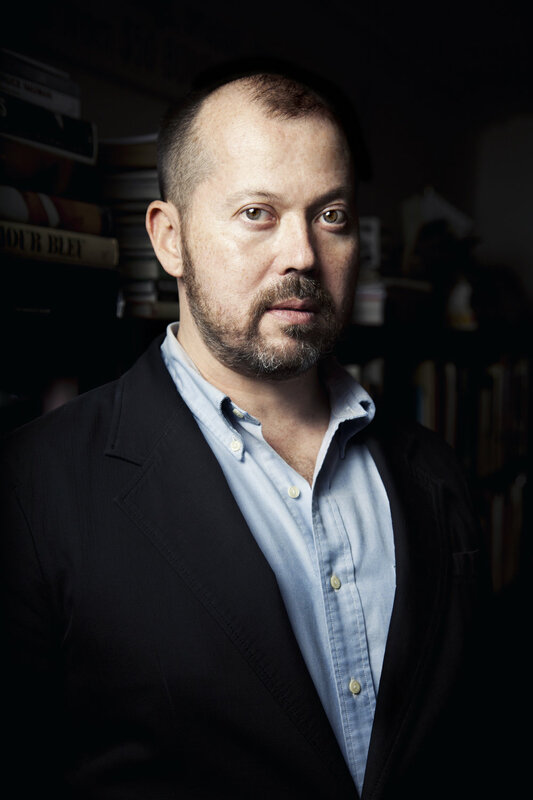 Alexander Chee is the bestselling author ofThe Queen of the Night and Edinburgh. He is a contributing editor at The New Republic, an editor at large at VQR and The Lit Hub, and a critic at large for The Los Angeles Times. His essays and stories have appeared in Best American Essays 2016, The New York Times Book Review, Tin House, Slate, Guernica, and Out, among others. He is winner of the Whiting Award, the AAWW Lit Award, and fellowships from the NEA and the MCCA. He teaches creative writing at Dartmouth College. Luiselli is a 5 Under 35 honoree and the author of The Los Angeles Times Fiction Prize–winning The Story of My Teeth. Kundiman will be at booth 527 at the AWP Bookfair throughout the conference. We'll have books, stickers, tee-shirts, tote bags, and other merch. Come say 'hi'! We're back at #AWP17 for another round of LITERAOKE, where we invite the hottest writers to belt out their Karaoke favorites and share some of their work. What better way to come together and feel good in the face of these dystopian times than raising our voices. Don't miss it! Come hear a marathon lineup of stellar poets and writers sing a few lines of their favorite songs then launch into a reading of their work. Brought to you by Kaya Press, Kundiman, and the Smithsonian APA Center. A celebration of Kundiman Fellows and Friends and the release of their new books at BloomBars in Washington DC! Featuring: Neil Aitken, Gina Apostol, Marci Calabretta, Chen Chen, Ching-In Chen, Jennifer S. Cheng, Kazumi Chin, Rachelle Cruz, Muriel Leung, Jane Lin, Michelle Lin, Marco Maisto, MG Roberts, Chris Santiago, Janice Sapigao, and Jane Wong.